Making the Magic book for Into the Unknown is without a doubt the most editorially demanding of the set. 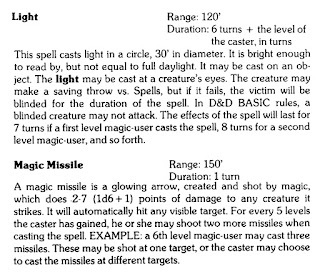 5e magic is verbose and overly focused on spelling out everything. Re-arranging (I am sorting spells by level) and cutting superfluous stat blocks helps, even if it takes a lot of time. 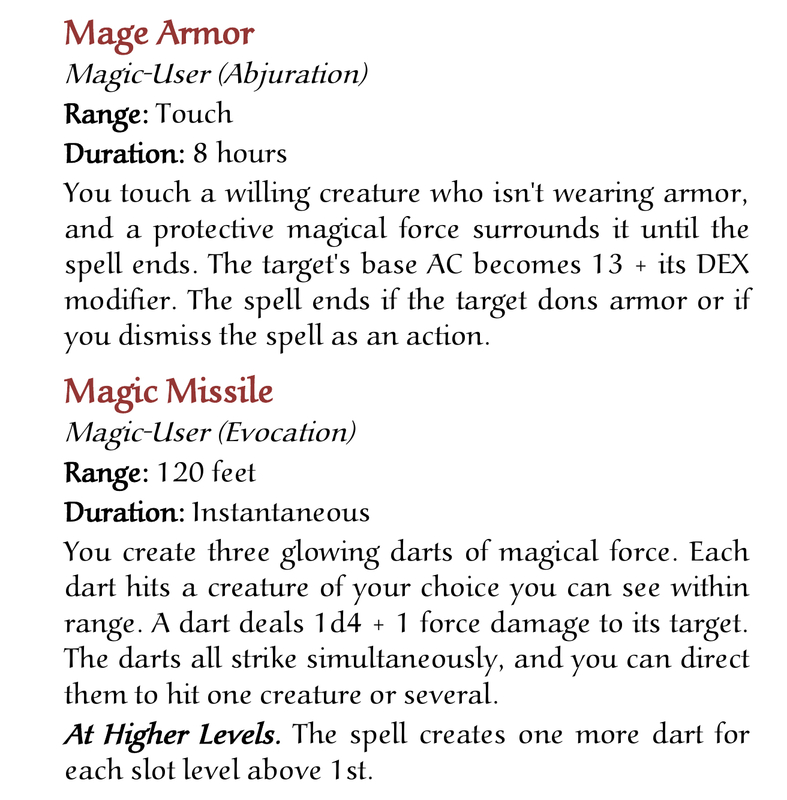 I am pretty happy that most 5e spells can have their stat block simplified to B/X standard of range/duration with mostly just a different approach to presentation (unless otherwise specified, casting a spell takes an action and requires verbal and somatic components - and I've eliminated material components without a cost). The screenshots here aren't so bad as they are all simple. 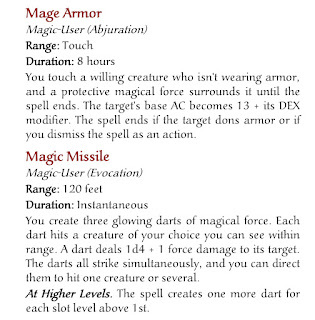 But there are just so many spells in 5e that are ridiculously detailed. Paring them down is a lot of work. And 5e's explicit language is getting to me. 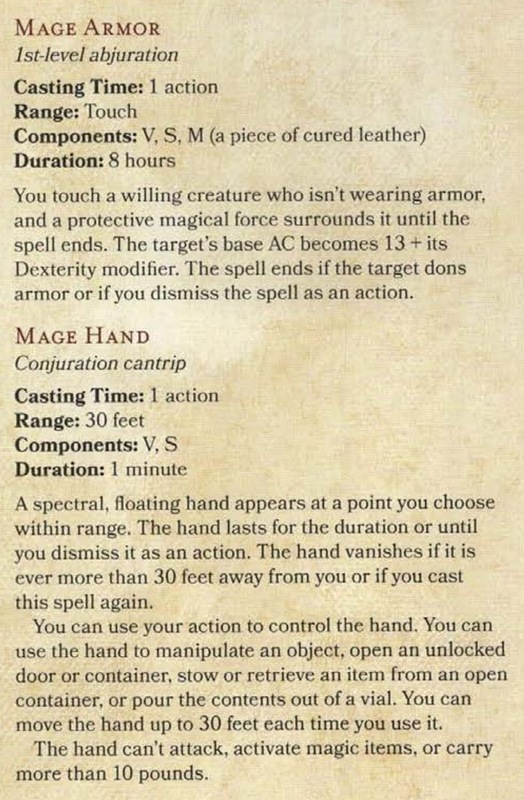 You don't have to tell me in every spell description that a spell effect lasts for the spell's duration and can be cast within range in every frigging spell. Going through a couple of hundred spells to remove all the superfluous verbosity is a lot of work. That said, I started with a 125 page document. Now down to 81 pages. 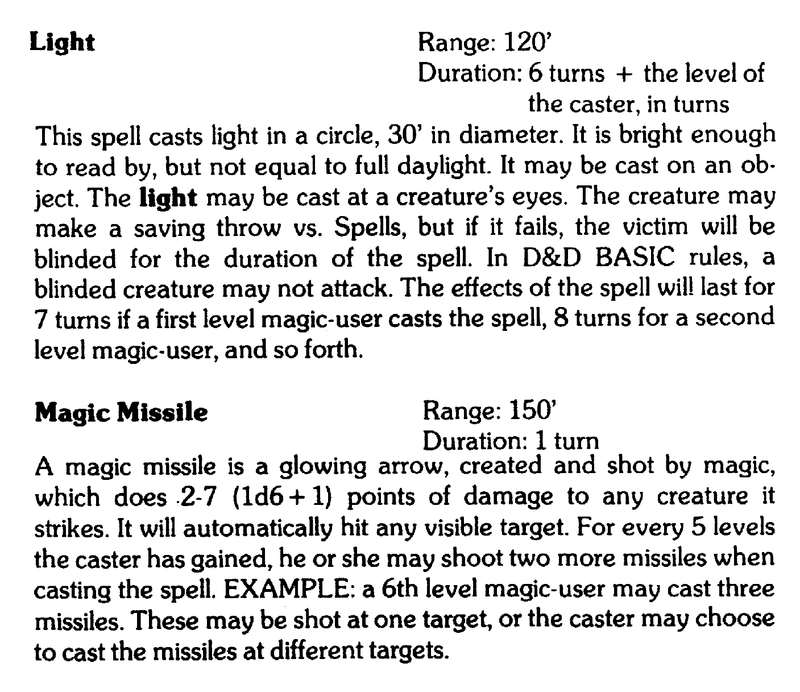 The rules for magic have been pared down from six to three pages. Still a lot to go through. 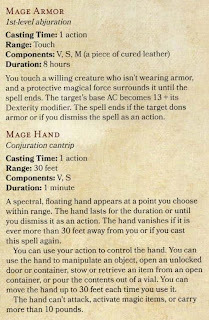 So far, I've been reticient to cut out spells, except a few that just don't fit. But something is going to have to give. B/X devotes 25 pages to spells (going up to 6th level spells). The 5e Player's handbook is 91 pages. I'd like to get at least below 70 somehow, without sacrificing too much.